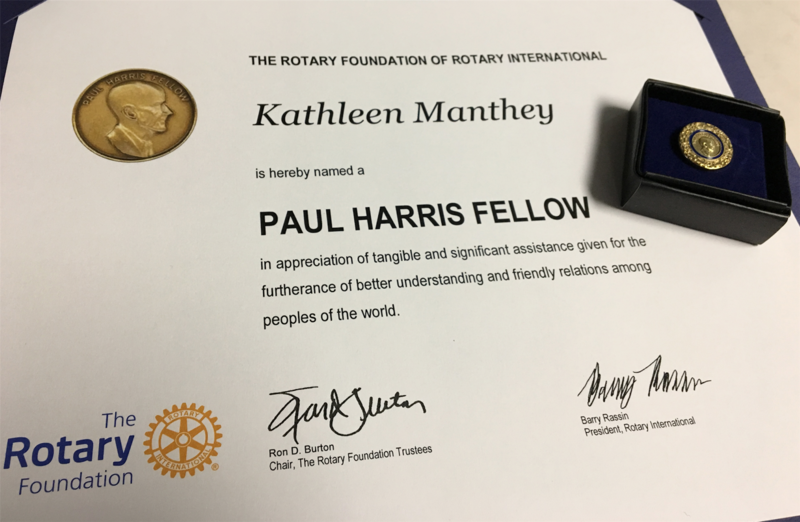 Portage Rotary Club recently named First Weber's Kathy Manthey a Paul Harris Fellow. The Paul Harris Fellowship is named for Paul Harris, one of the founders of Rotary in 1905. This recognition is the highest honor and is intended for those people who demonstrate the Rotary ideal of Service Above Self. Kathy has been a member since June 2001. She is the wife of Harold and mother to Lisa Foss and Peggy Braun. Portage Rotary Club believes her life exemplifies the humanitarian and educational objectives of the Rotary Foundation. Her life and vocational commitment to helping people in need locally and around the world does not go unnoticed.